Abraham Lincoln was born on February 12, 1809. In his future, he would become the 16th president of the United States. His tenure as president would be through difficult years for this country of America. Lincoln had to work on a country greatly divided. Many southern states were succeeding from this union, mostly over the issue of slavery. Lincoln would be best known for this time. That great Civil War became reality during his presidency. Abraham Lincoln remarked about the Declaration of Independence, and Constitution when he stated, “all men are created equal.” He believed a country with slavery was hypocritical. Lincoln issued the Emancipation Proclamation in January of 1863. 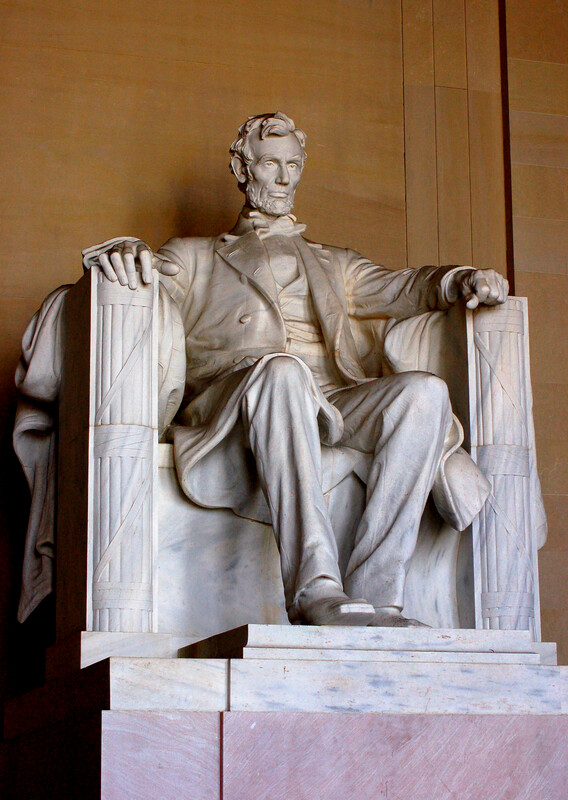 The Lincoln Memorial was built in his honor. 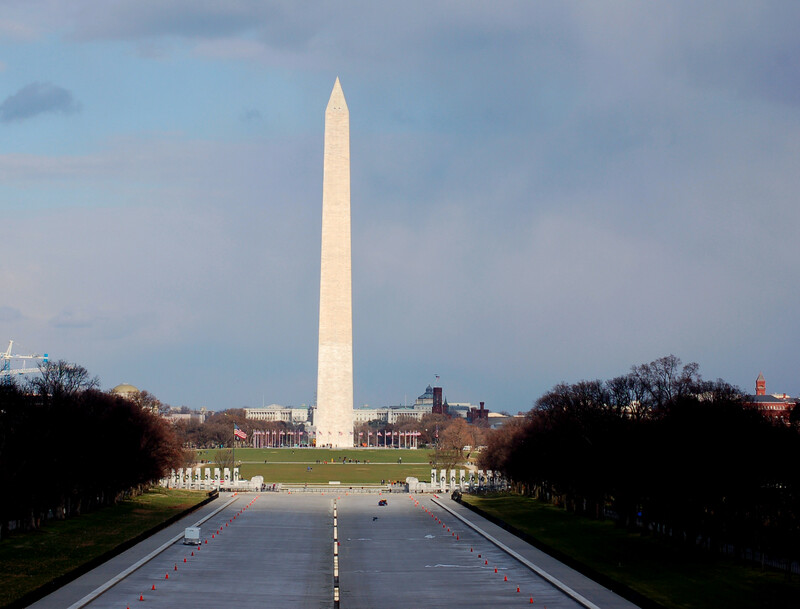 Construction began on February 12, 1914. 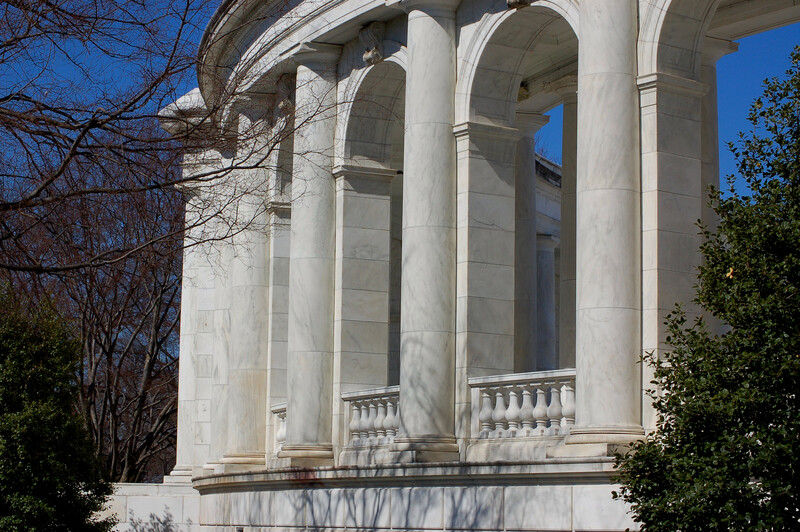 The marble structure has 36 columns around the building representing the thirty-six states at the time of his death. The union would hold! 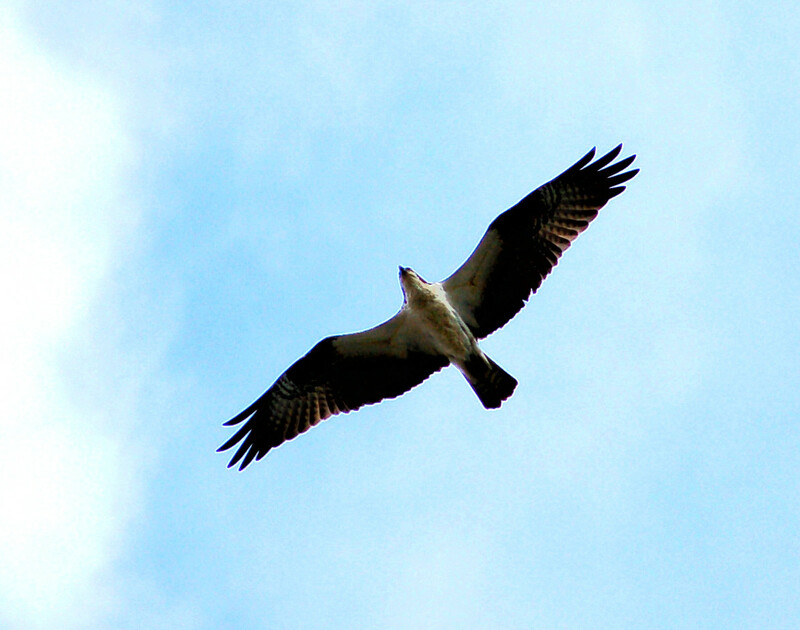 An Osprey flying over the Tidal Basin. On one wall is engraved Lincoln’s 1863 Gettysburg Address. He gave this short speech later that year of the Gettysburg battle. 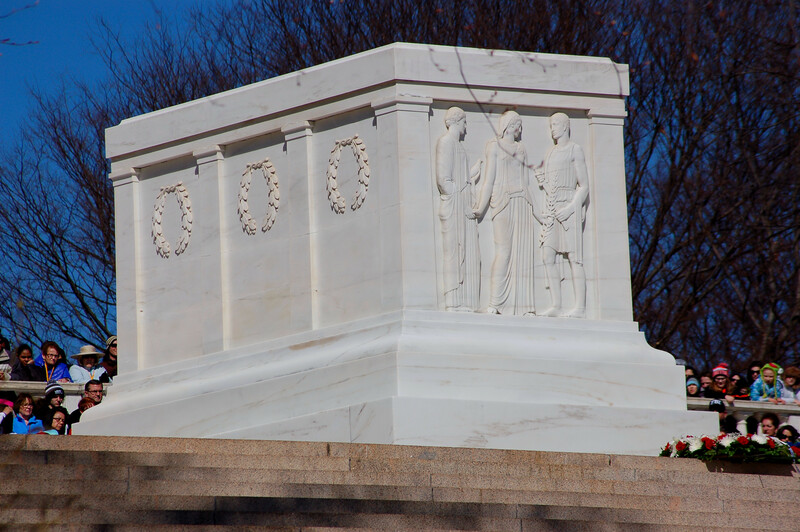 Lincoln’s second inaugural address is engraved on the opposite wall. Nearby, another memorial is located. 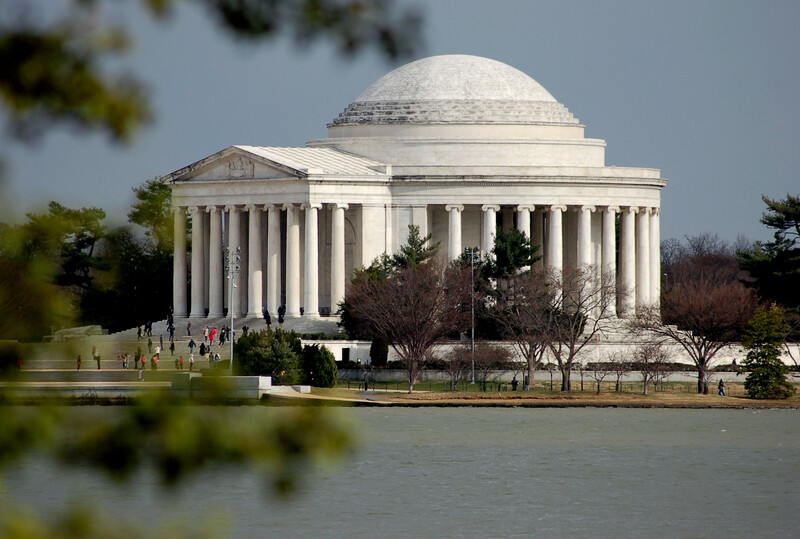 This one is the Jefferson Memorial honoring the third president of the United States, Thomas Jefferson. (1743-1826) This monument is made to look like Jefferson’s home, Monticello. 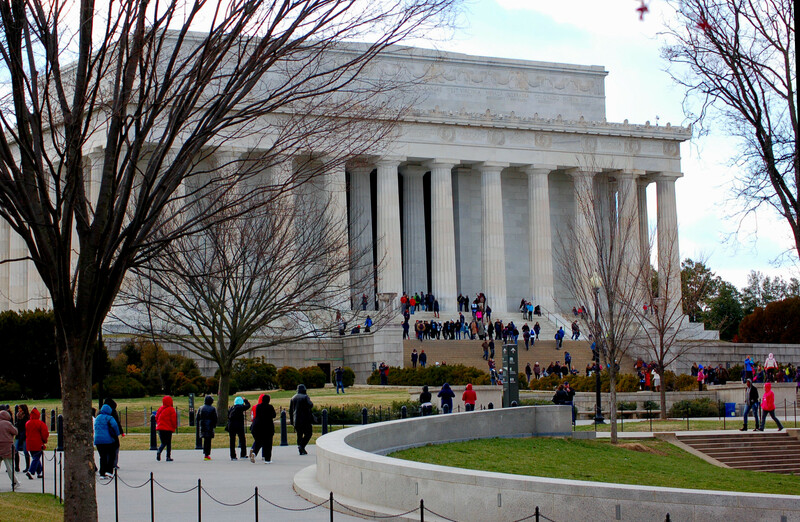 The structure is 129 feet high, with Jefferson’s statue standing in the center at nineteen feet high. A photo from the Library of Congress. Thomas Jefferson was a well learned man. 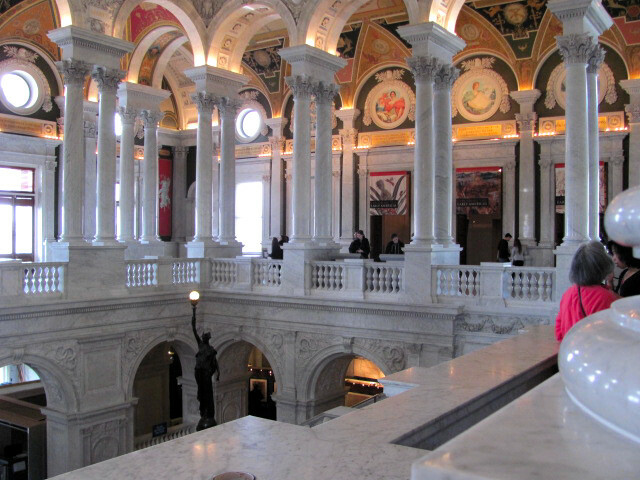 We actually observed many of his original books earlier at the Library of Congress. Of course, they were on protected shelves. The subject matter he read amazed me! The Library of Congress was founded in 1800. The architecture is mind-boggling! 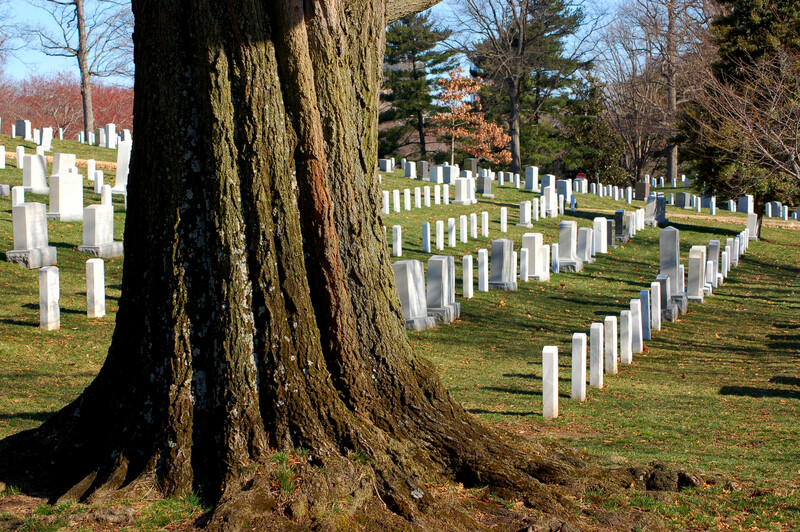 Traveling about the well-known, Arlington Cemetery, brought about various emotions. Laurie felt them as well. In fact she was hesitant to go to the grounds. We were, indeed, on “Hallowed ground”. 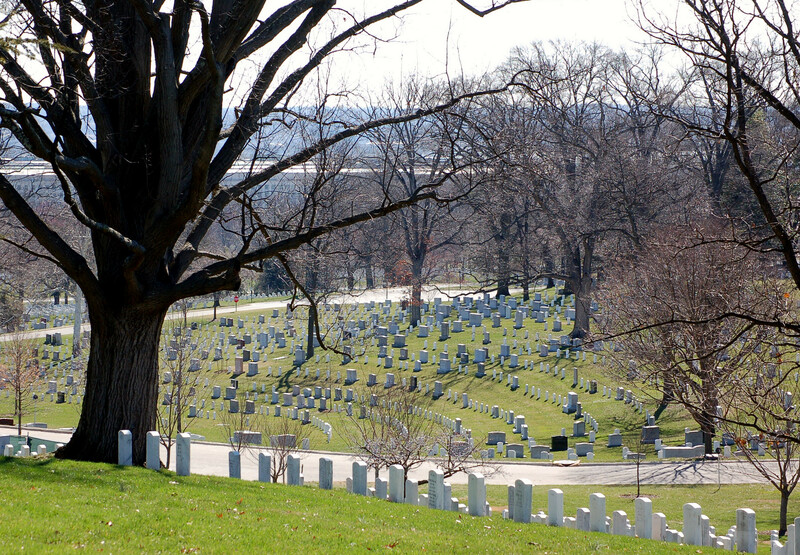 The respect we have for those thousands upon thousands of individuals buried on this property produced prominent emotions. However, a sadness is forever present as well. Young soldiers never had the opportunity to have families, and be a part in the American life. 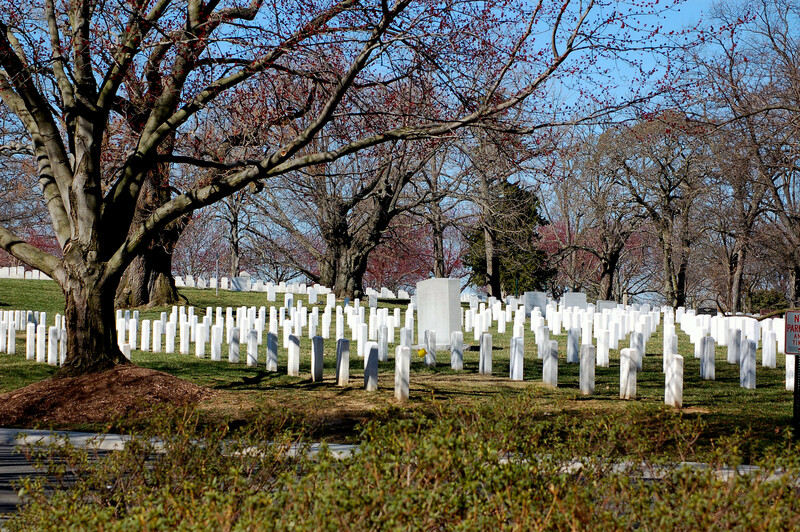 Those white headstones each have a story that will never be known in most cases. I did feel a sense of honor just being on the site. I was never a veteran, but I sure appreciate the sacrifices made by those resting under those stones. 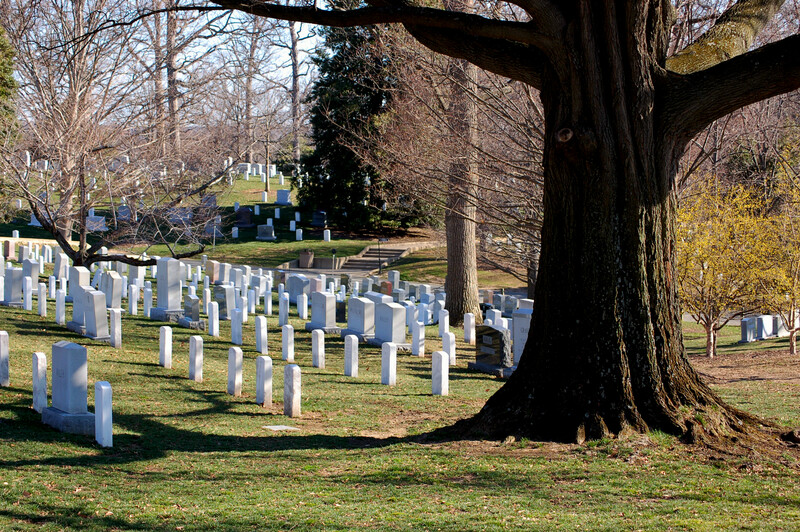 Many well-known individuals have been laid to rest here, too. Names such as Audie Murphy who was the most decorated solider of the second world war is one. General Jack Pershing is buried here. He was the general of World War 1. President John Kennedy is buried here, as well. I immediately went back to 1963 as a third grade boy trying to understand what was happening. The teacher walked into the classroom and told us of the assassination. 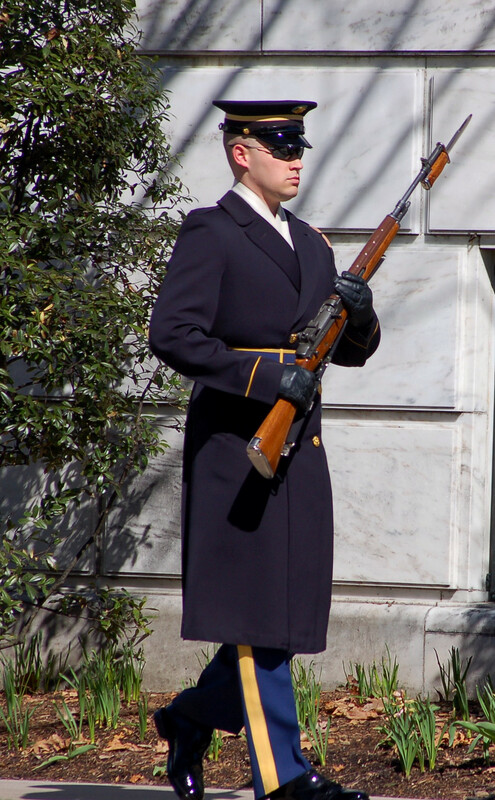 We managed to witness the “CHANGING OF THE GUARD” at the “TOMB OF THE UNKNOWN SOLDIER.” This was very somber event. The actions of some very dedicated young men is heartwarming to see. 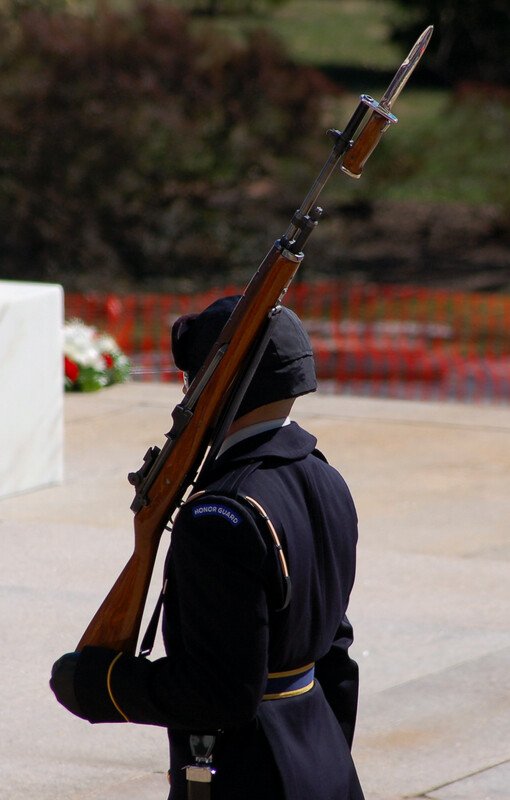 These men pay tribute to fallen comrades in arms. A hurricane in recent years allowed the soldiers to stay in until the storm blew over. The men refused, and stayed on guard duty despite the horrible weather. Like I said, these are dedicated men. We were honored to witness this. The property itself consists of over 600 acres of low-rolling hills with trees. Some of the trees are very old, and mature. Winding streets allow for easy access to see the many memorials. 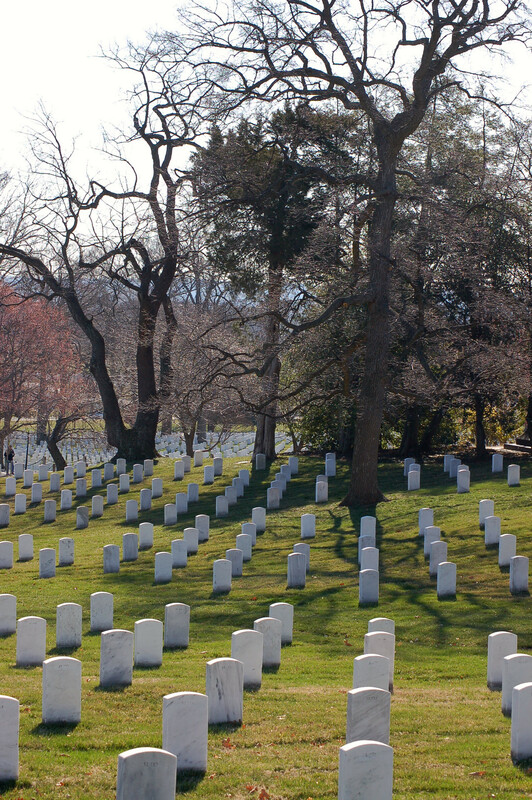 The most impressive sight to see were the countless tombstones covering those grassy areas. Those stones, individual monuments, are to brave men, and women willing to sacrifice their lives for freedom, and liberty. Side view of the amphitheater. The Cherry Blossom Festival begins around this date every year. The cherry tree blossoms are usually in bloom, too. That only makes sense to have the festival during the blossoming of the cherry trees. However, as we expected, the blossoms were only beginning to open. Most weren’t! The buds were in place, but few blossoms would be peaking out of the bud! They needed a couple of days of warmth to complete the opening. (This is known as the Smail Curse.) Theses events give my wife, sister, and I something to laugh about. 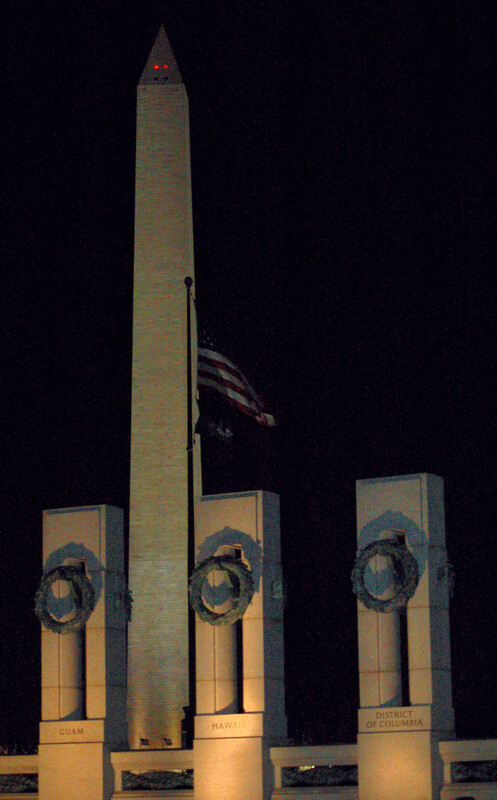 The Washington Monument taken, at night, from the WW 2 monument. This March has failed to produce the needed weather to induce the buds to cycle through into blossoms. The colder, than normal, weather is present all over the northeast. In fact, I heard DC broke a temperature record this past weekend of the last days of March. 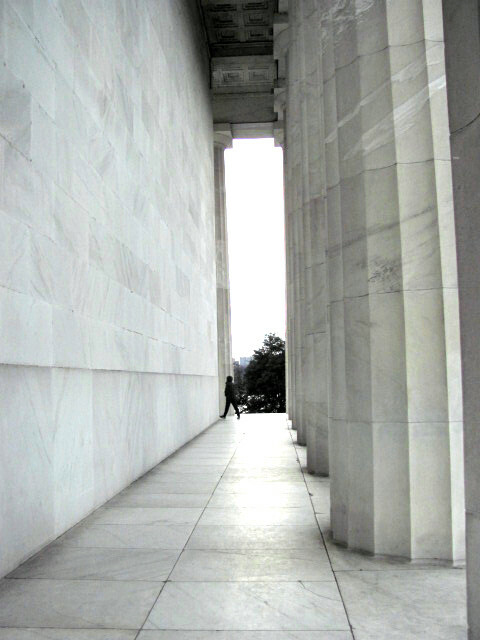 Photo taken from the Lincoln Memorial. 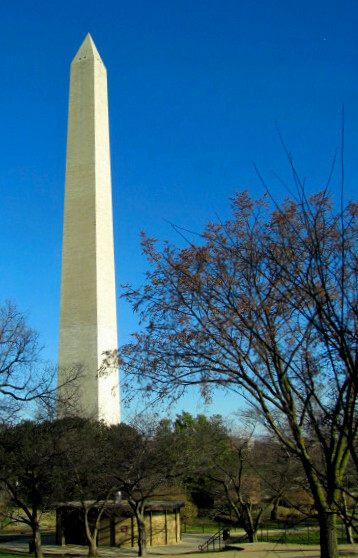 The Washington Monument has been something of interest to me since my childhood. My father, in 1941, went to the nation’s capitol during his class trip. He told me of the monument, and of course, I have seen many photos of the tower. For this reason, seeing this marble, obelisk monument was something I had hoped to do. 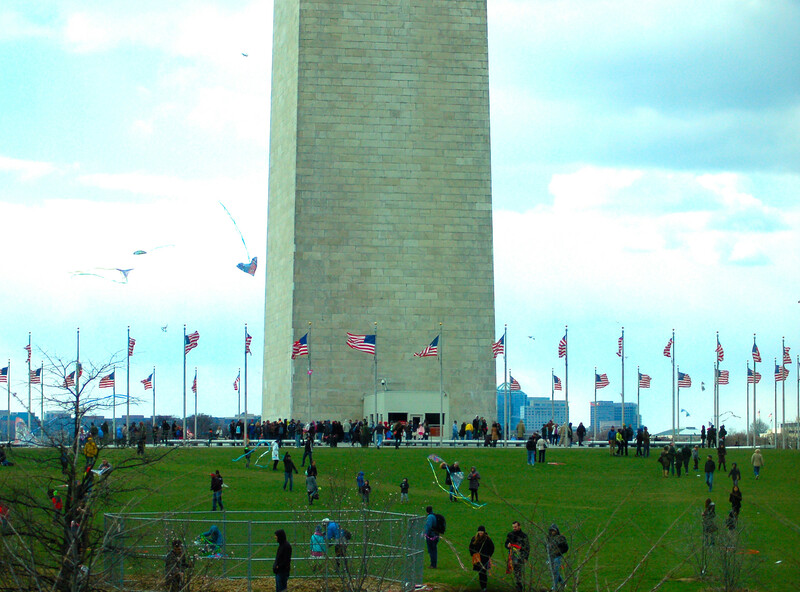 The monument’s base during National Kite day. 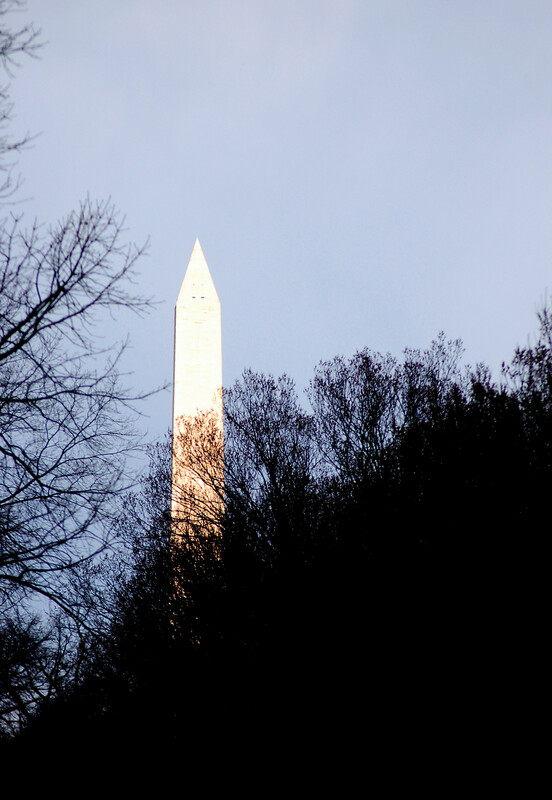 The monument’s point reaches 555 feet into the Washington D.C sky. It has proven to be the focal point in the city, for the peak may be viewed from many other areas. 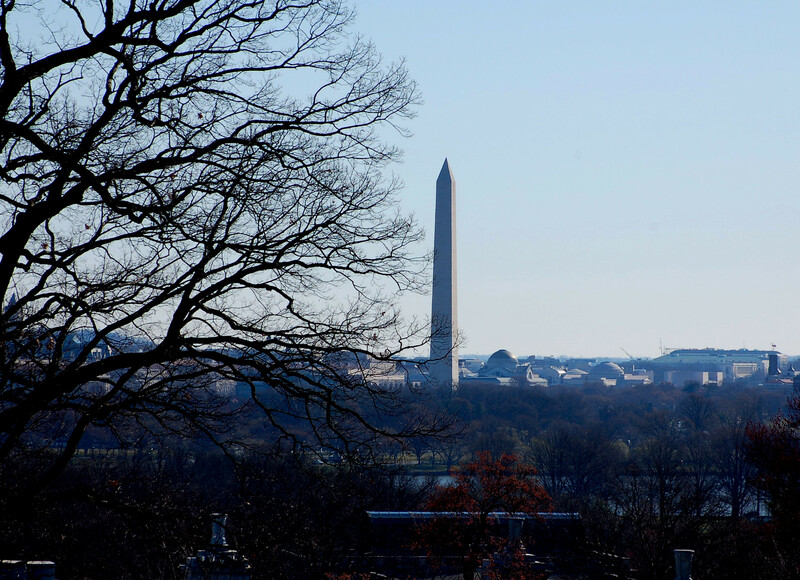 In 2011, an earthquake damaged the Washington Monument. However, repairs have been completed after three years of construction. 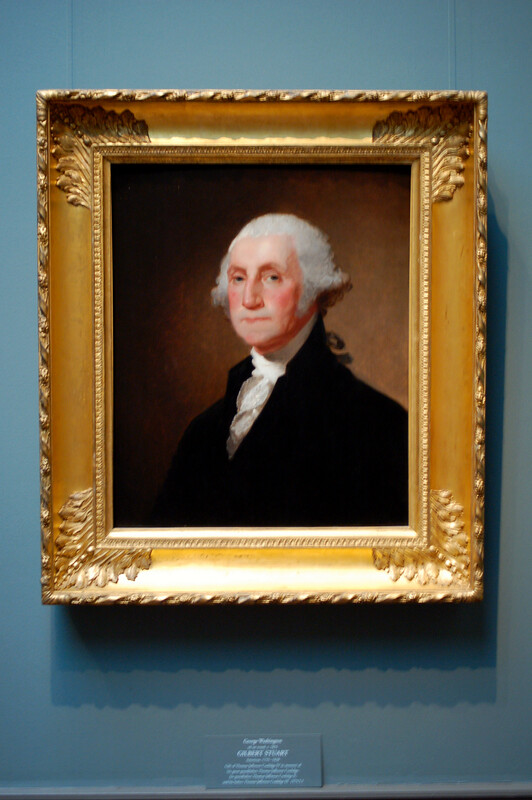 One of the most famous paintings of Washington. I took this one at Smithsonian Art Museum. Photo to show just how large this place is! 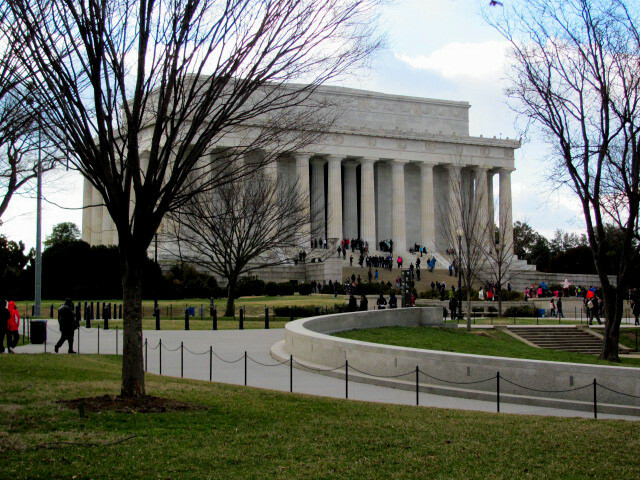 Laurie and I decided in February of going to Washington D.C. during the Cherry Blossom Festival. 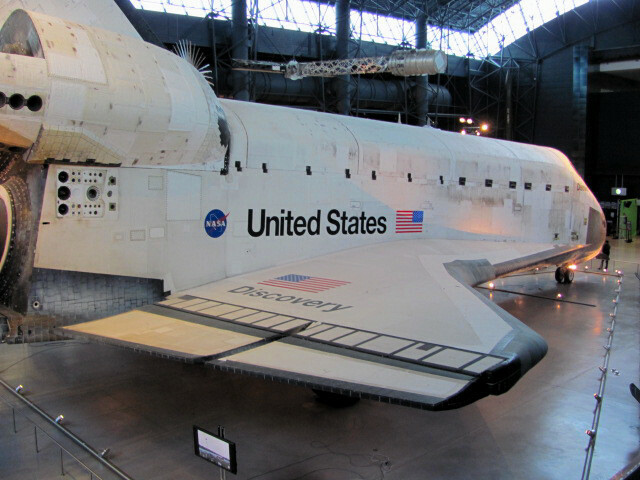 However, the visit of our south-eastern descent from Pennsylvania would begin at the Smithsonian Air & Space Museum, known as the Steven F. Udvar-Hazy center. 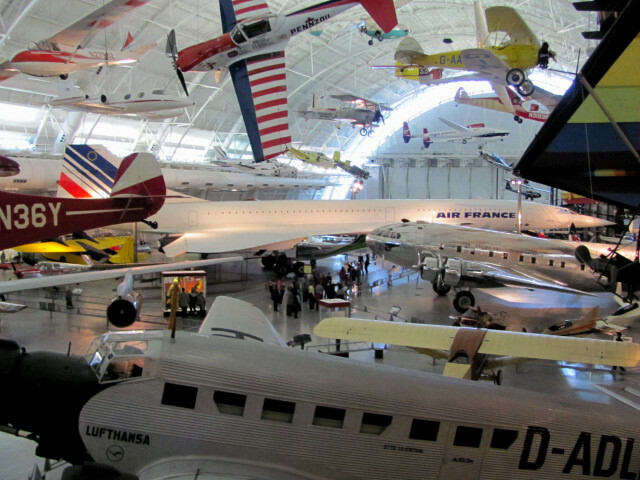 The web site is: https://airandspace.si.edu This site is in Chantilly, Virginia. Photo to show how large this place is. 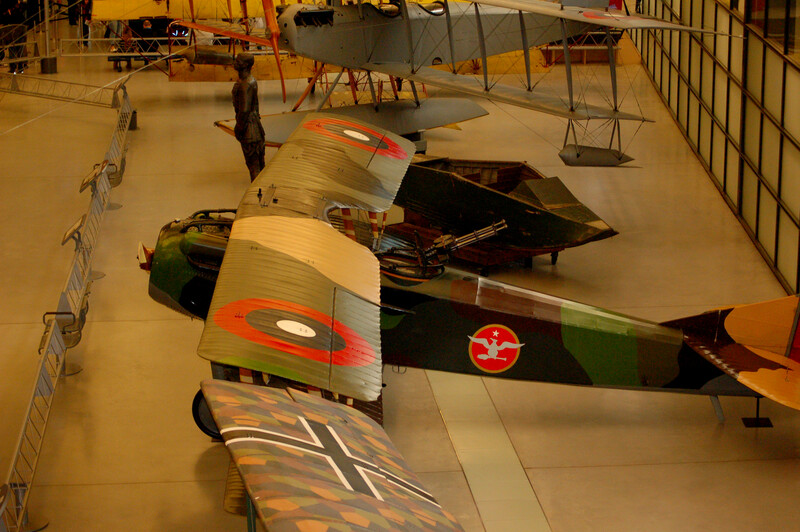 We spent a few hours here looking at the various vintage planes of pre-World War 1 times to the Spacecraft Discovery. I am not an over-avid, airplane enthusiast by any means. 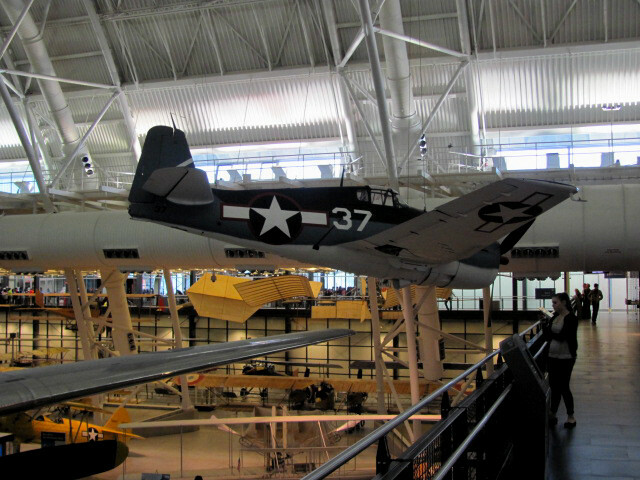 However, I enjoy the history aspect of aircraft, especially of the second world war era. One very early aircraft was the Samuel P. Langley’s Aerodrome. If this fellow would have had succeeded in his first attempts to fly, he would have been the pioneer of airplane flight. However, he had two accidents just days before the Wright Brothers succeeded in 1903. I am amazed as to how far airplane technology came in a little of a hundred years. 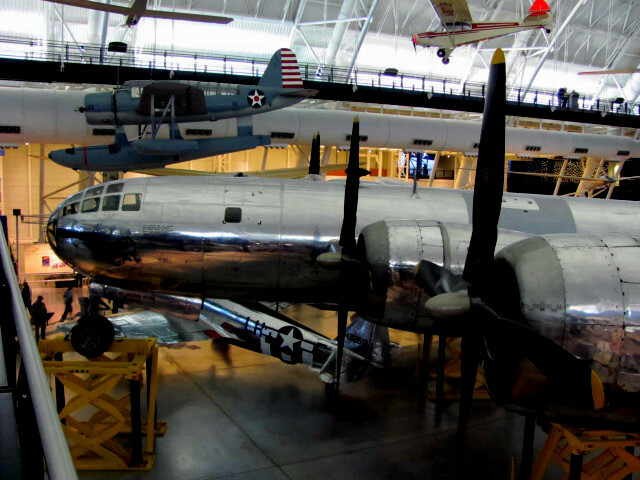 Of course, seeing the famous B-29, known as the Enola Gay was a highlight for me. 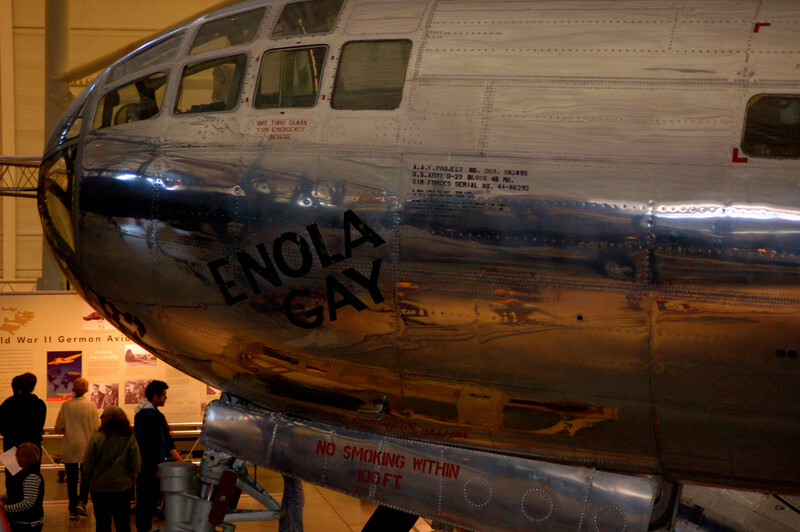 This plane is known for the dropping of the first atomic bomb over Hiroshima, Japan on August 6, 1945. 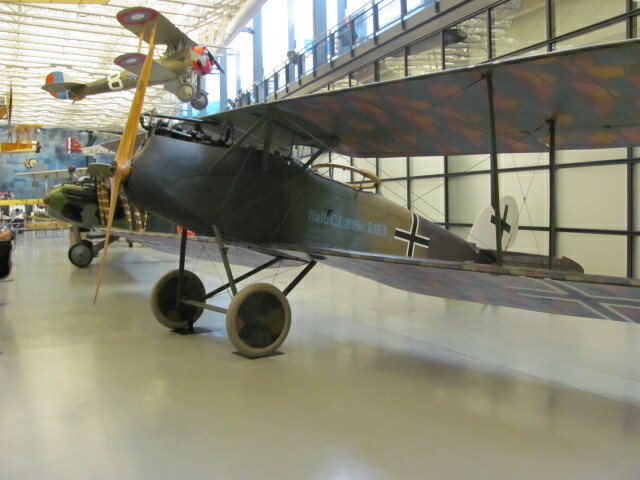 Other planes of history were the German and Japanese planes of the second war. 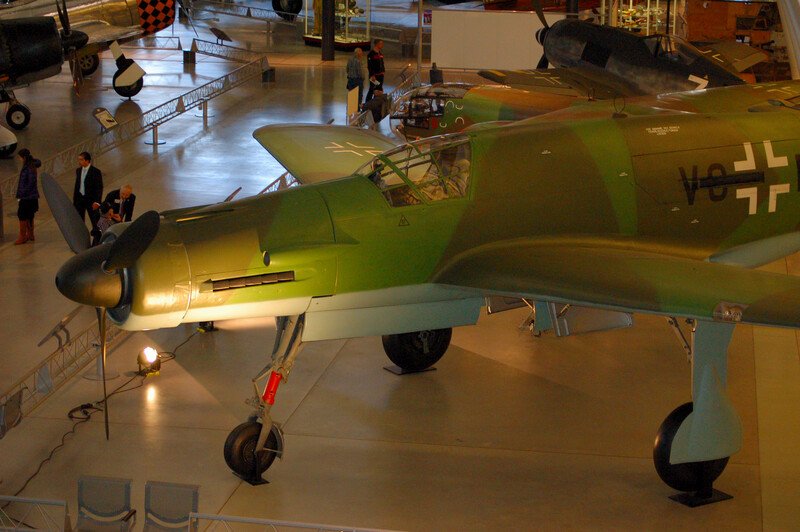 Planes such as the German Dornier DO-335 were on display. Japanese fighters, too. I like the German planes’ construction! 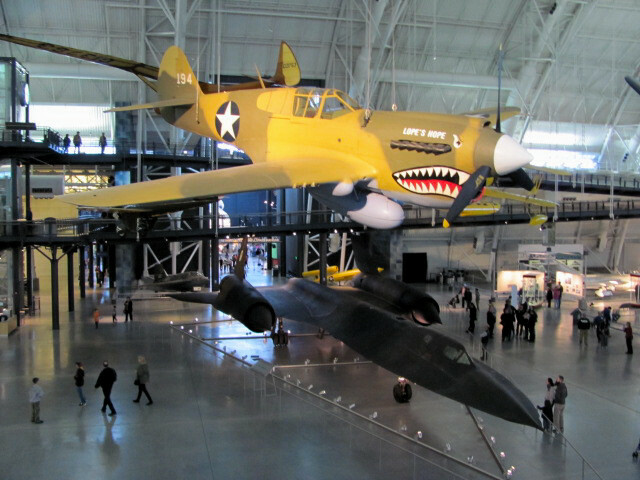 The Lockheed SR-71 Blackbird is available to view. This particular jet went from Los Angeles to Washington. D.C in a little over one hour at a speed of 2,124 MPH. I would say that is fast! The Air France Concorde is here, too! This plane is capable of traveling two times the speed of sound! I remember of one crashing years ago in Europe. Many, many airplanes can be studied on site. they cover personal planes of many kinds; the Cold War era; Korea and Vietnam and more. Other things of interest are aircraft restoration; the early space modules of Mercury, Gemini and Apollo, rockets, missiles and satellites. 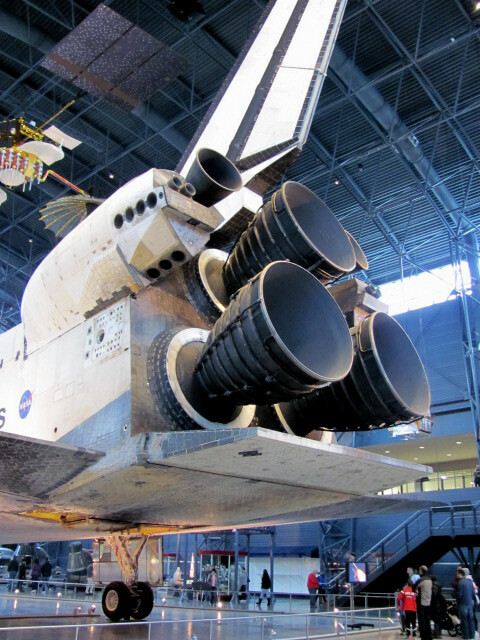 The Spacecraft, Discovery is huge! I stood in amazement looking at it. I would not want to be in this space vehicle. However, this one flew 39 missions into the space. We spent some time in an observation tower watching planes come in to land at a local airport. The area was tuned in to their actual flight control patterns. A warming day was in the making. The weatherman stated temperatures heading into the sixty range by later this afternoon. I needed some outdoor time, so I ventured to Crooked Creek Lake area to see what I could see as I walked about the lands. I noticed quickly just how much water was being held back as I stopped at an overlook place. Here one can look across one of the bends in the back water onto the beach area. The water was high. 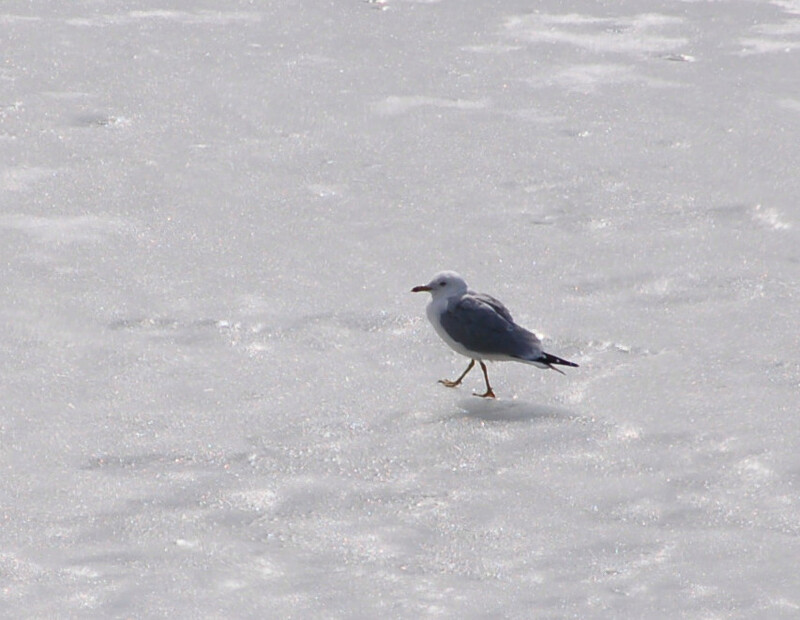 However, bird life was abundant where the open water was present. 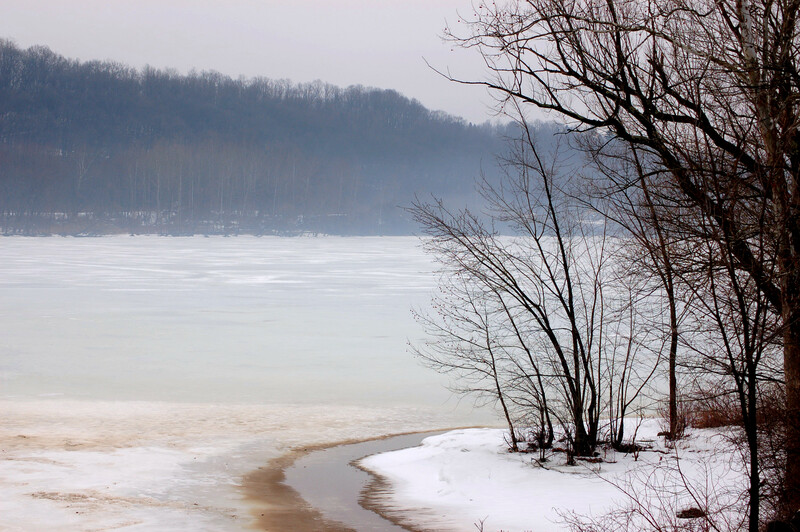 I easily could see three-four eagles maneuvering about the exposed tree tops, and at the edge of the ice. Canada Geese were scattered about, as well as, an osprey, ravens, herons, gulls, and terns. I went around the dam, and parked to begin a trek down the beach road to see what wildlife events would occur. 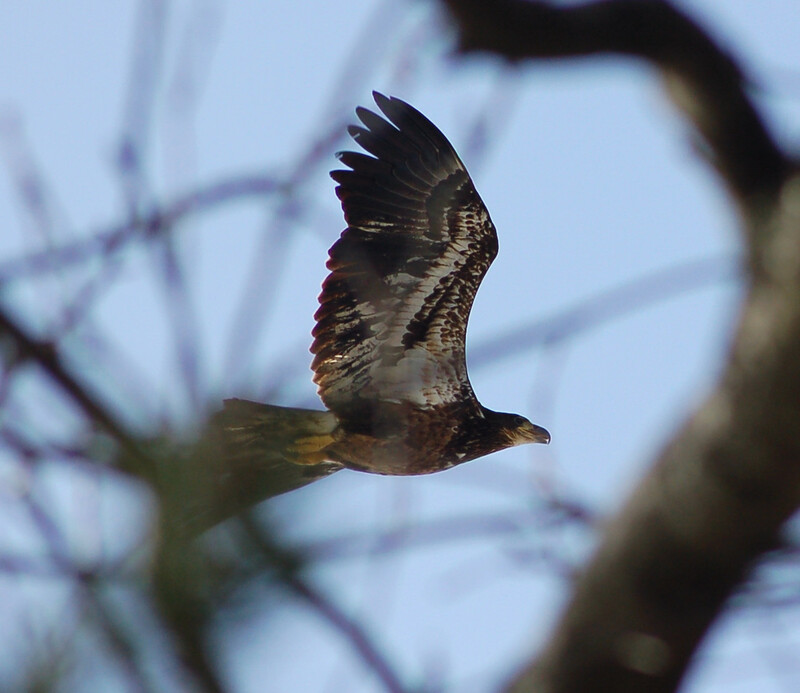 I spotted an eagle taking flight from a large hemlock. I, eventually, made it to the water’s edge. I hoped to get about a hundred yards closer, but the water would not allow that attempt. However, I was still able to see many birds, but not well. The underbrush along the road, and distance, caused difficulty seeing many of the sightings. Geese would fly past, as did, herons, gulls and occasionally young eagles. I took photos whenever possible as any bird flew into openings. 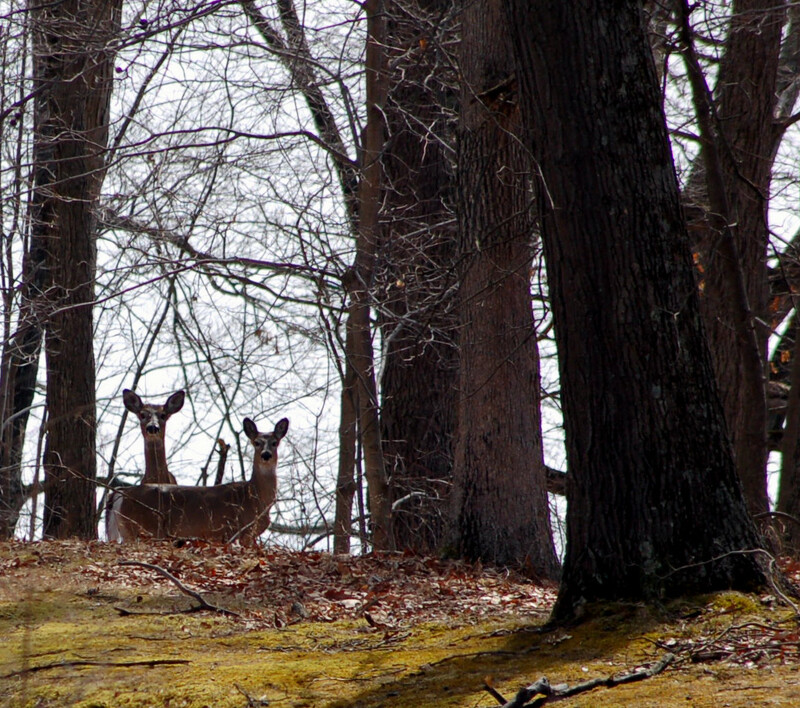 I, also, saw three deer feeding. The morning was damp from the warming temperatures, and yesterday’s rain. A fog engulfed much of the area. 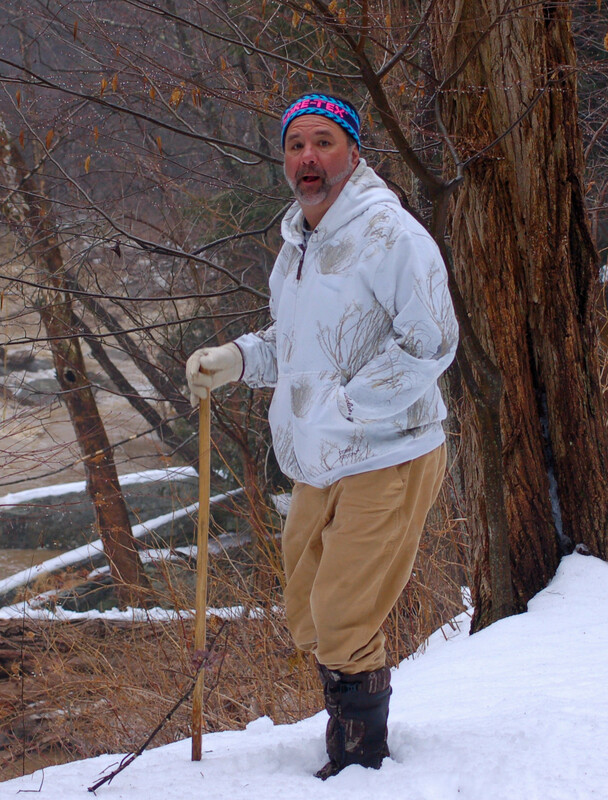 My friend, Frank Maus, and I decided to take a hike this morning to a trail known as the Buttermilk Falls Trail. This trail runs parallel with Cowanshannock Creek. 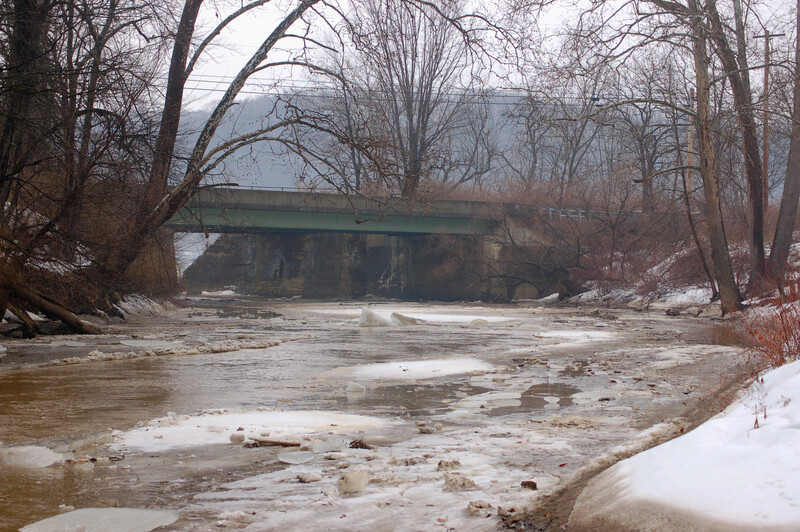 These waters flow into the Allegheny River north of Kittanning, Pennsylvania. We stopped for breakfast before heading to the trail. We didn’t know what to expect to see as we approached the trail. 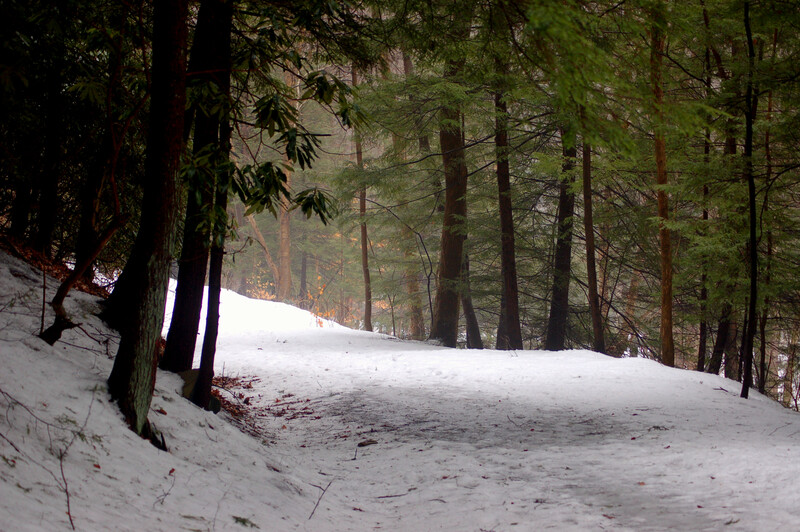 We began the trek on a snow-covered trail showing evidence of little human activity in recent days. Deer tracks, however, were present everywhere. 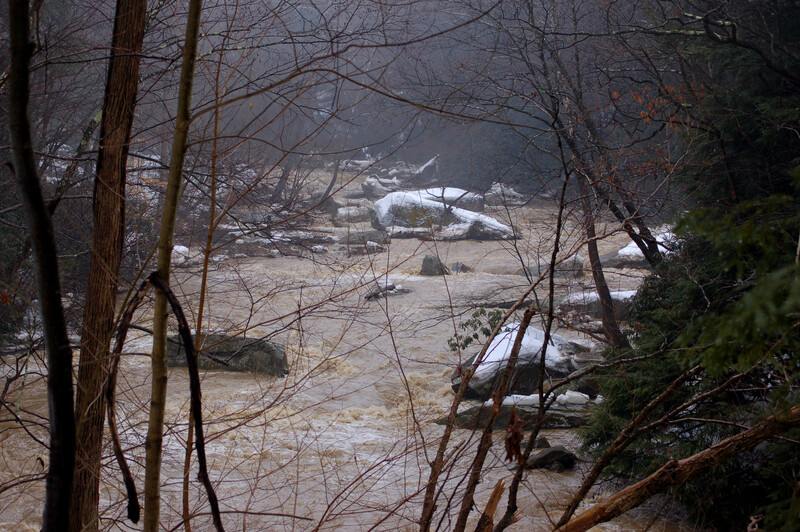 The first sight to see was the brown-colored waterways of Cowanshannock Creek. 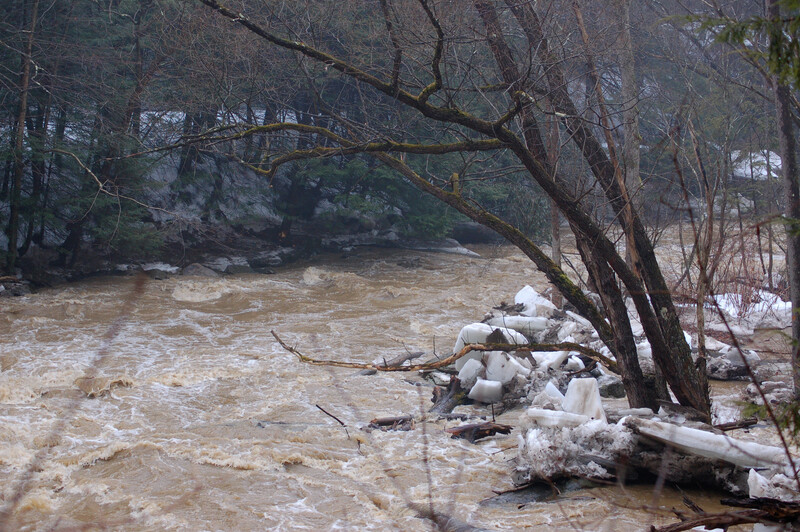 Large chunks of ice were visible along the banks of the stream. 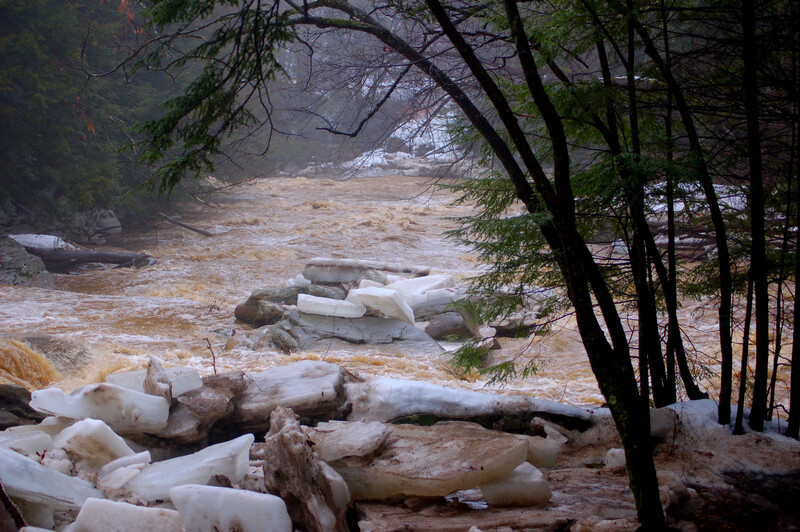 Some areas had ice built-up against rocks, and logs. The flow was fast-paced. We discussed how amazing fish can survive such waters! We walked to the end of the trail before proceeding farther along the creek. We saw some mink tracks at a couple of sites. 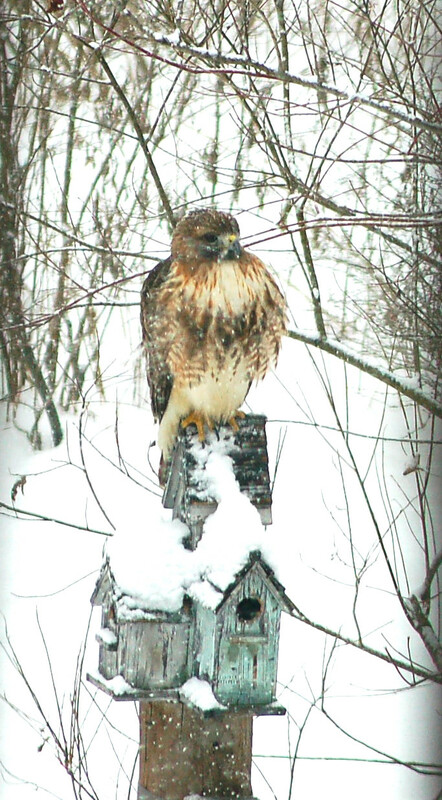 We saw one red-tailed hawk. Much of the fog had lifted upon our return to the mouth of the creek. Here the waters flow into the Allegheny River. 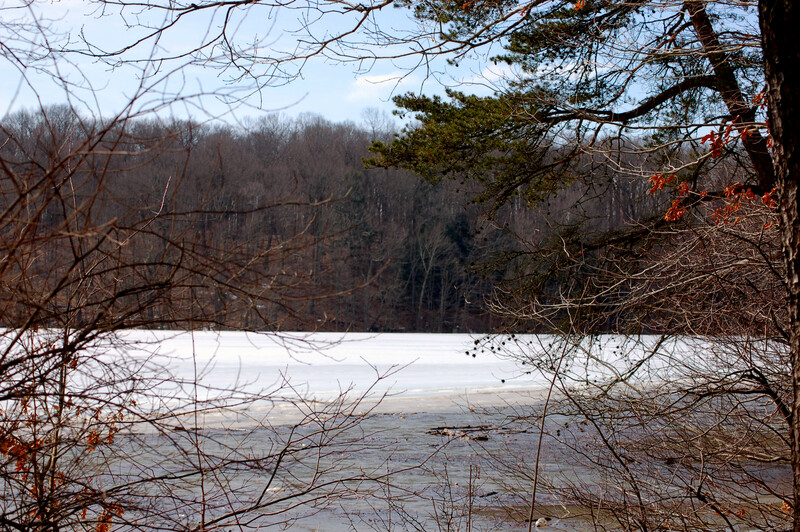 We could see where Cowanshannock’s brown water, and ice, had actually been forced up, and over the river’s ice. I enjoy watching wildlife of all kinds. I enjoy the birds I see while hiking, hunting and fishing. I have actively fed birds for many years. I enjoy setting on the deck and observing how some species tame, while others never truly get used to being close to me. 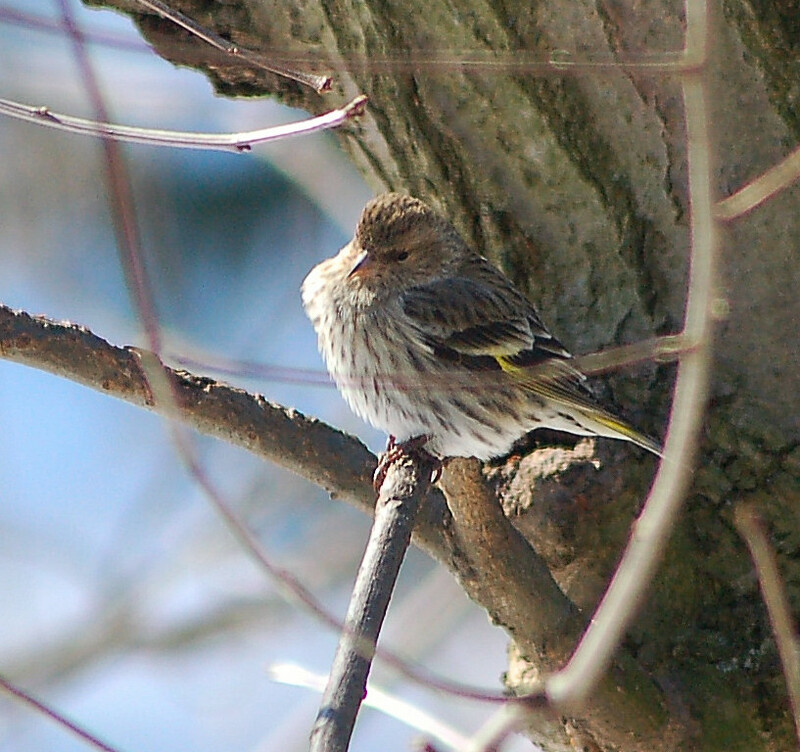 Pine Siskin…note yellow on wings. I have a list of all wildlife I see on my property. I have over sixty species of birds observed and identified here. I think that is remarkable! These sightings cover the small Ruby-Throated Hummingbird to the Wild Turkey. 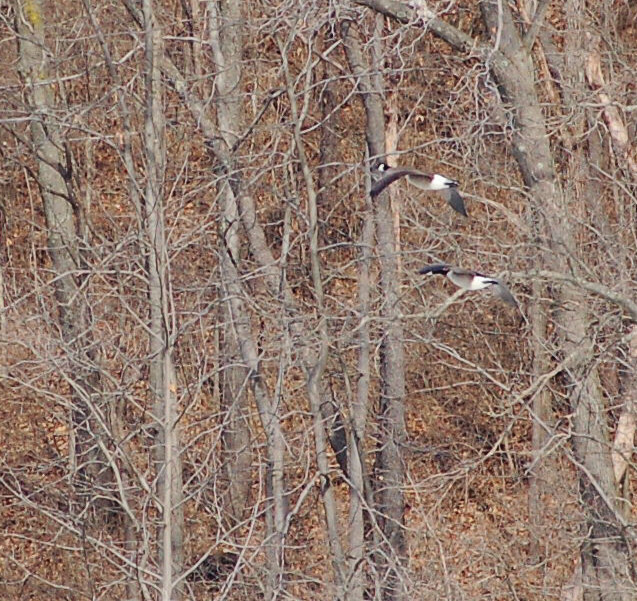 I have viewed eagles flying over on several occasions. I have been fortunate to get some good photos recently. For every good photo of birds, I may discard four or five. The birds are constantly moving. The very fraction of a second you take the photo the birds often flutter off or turn their heads. 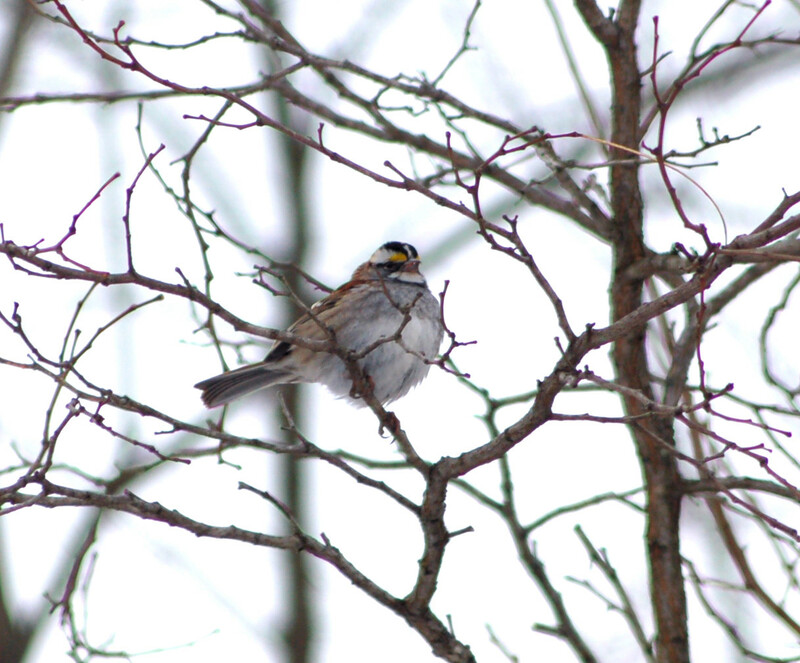 The White-Throated Sparrow has shown up recently. This little sparrow has black, and white stripes on the head. Also, there is a small yellow area between the eye and bill. These distinctions are for the males only. Females are much harder to identify since most female sparrows are indistinct and resemble each other. 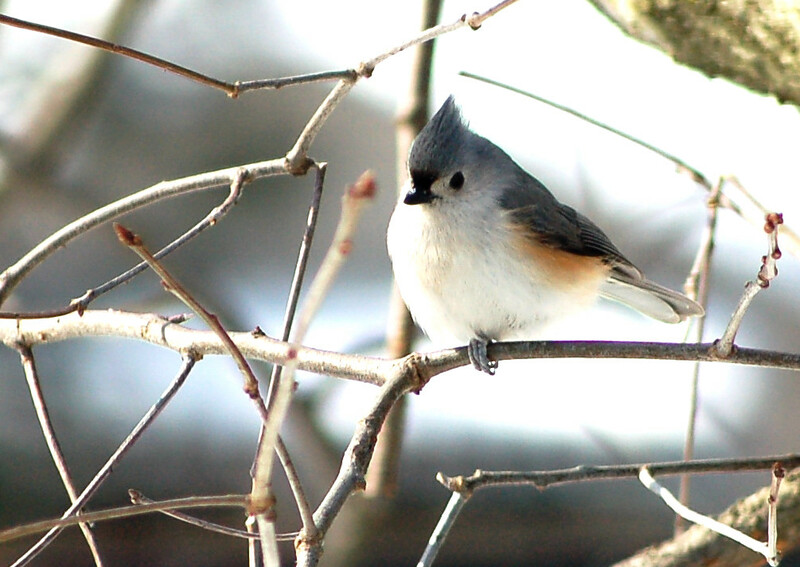 The Tufted Titmouse has been seeing their spring calls for a couple of weeks now. 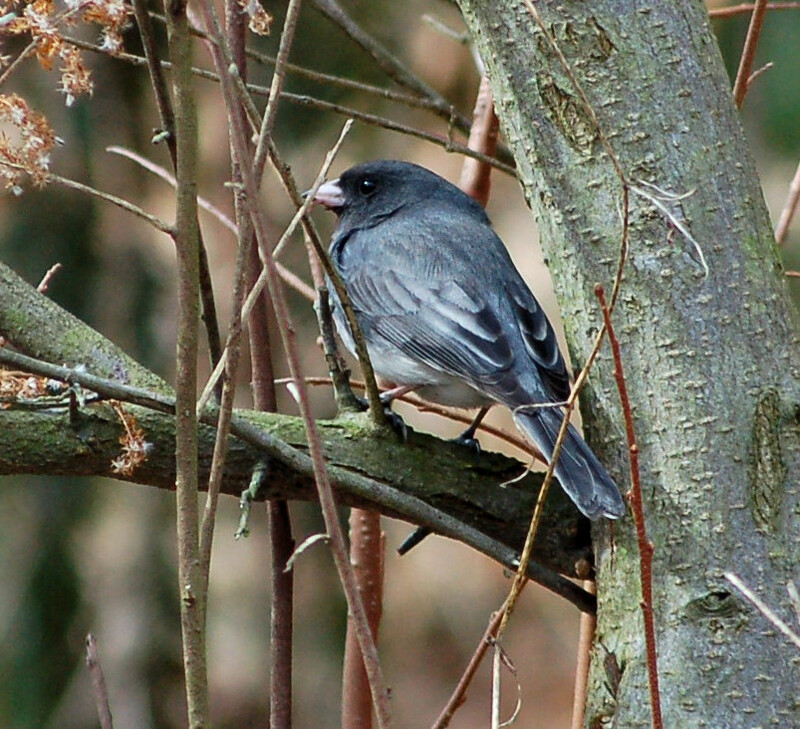 These gray birds with a tuft, or crest of feathers on their heads are abundant at my feeder. I have stood in the garage mimicking their calls, only to have the bird come into the garage opening looking for the source. 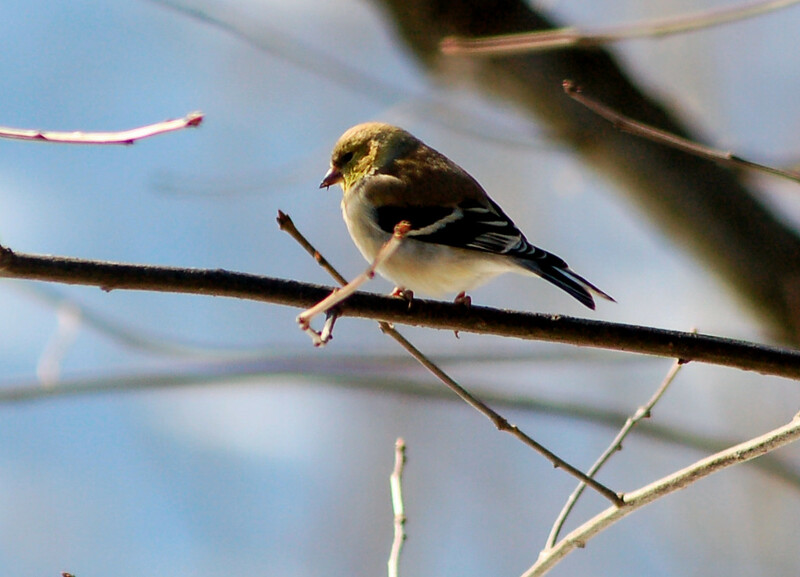 The Pine Siskin is a small sparrow-like bird. They have a soft call that I enjoy listening to. The distinctive wings identify the specie. 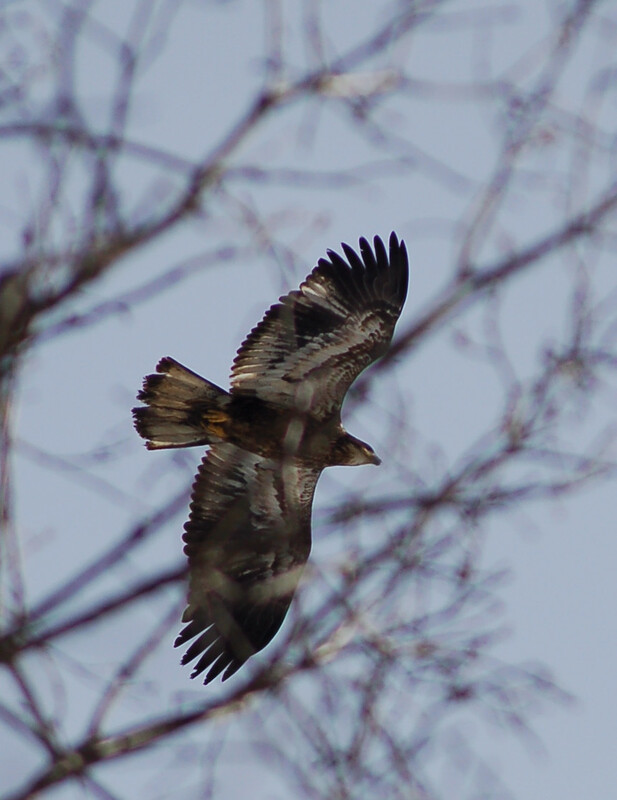 They have yellow barbules on their wing feathers. 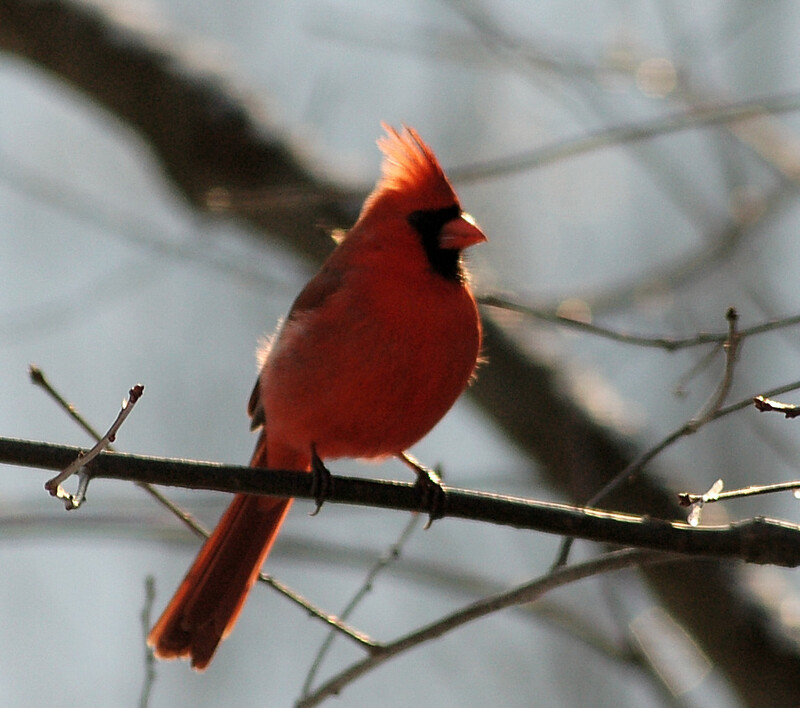 Of course, everyone knows the cardinal. This is one specie that does not appreciate being close to me, I have been hearing their spring calls for about a month. The brilliant reds of the males is a sight to see. 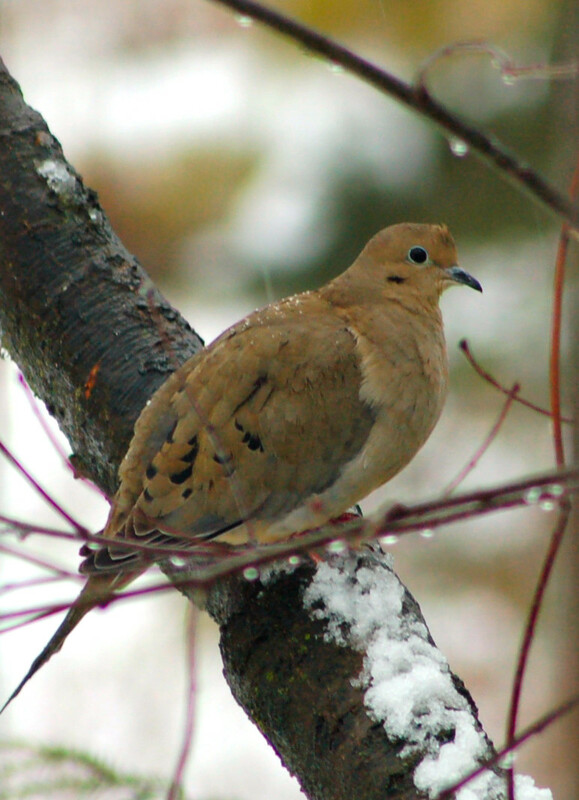 Mourning doves frequent my feeders. I have lost two to hawk predation in recent weeks that I am aware of. Their mating coos will soon be heard all over. 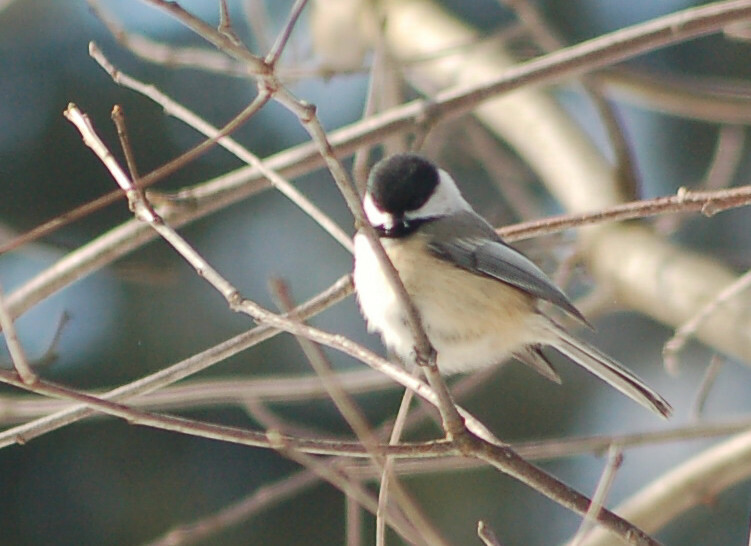 The Chickadee is a sweet little bird. Many times while hunting I have been entertained by the woodland antics as they sweep from branch to branch, often hanging upside down. 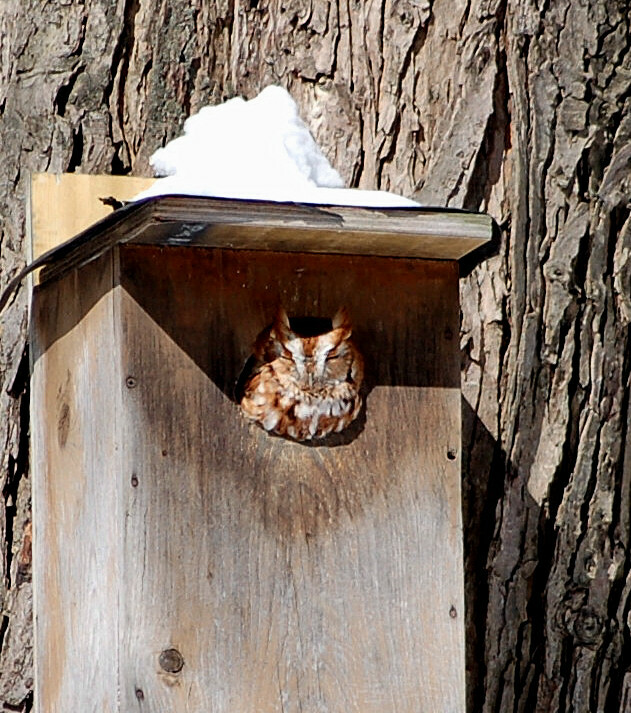 As normal, I have screech owls inhabiting the box I erected many years ago. I see, both, the grey and red color phases here. Every year they produce baby owlets.